There’s no place like Berlin for allegiances to be made and forged on the dancefloor. Case in point: Daniel Breyer and Felix Reiter, who met at a rave on the city streets and remain glued together in the name of techno. As Techno Frühstück (Techno Breakfast), they unleashed their first tracks in 2015—releases such as "In The Woods" and "Raining For Ages" powered by an engine of stately beats and lustrous basslines. Across Germany’s clubs and festivals, the duo’s sets cut major grooves into dance floors, keeping alive the same electronic pulse that brought them together in the first place. This year, the pair’s lineup of gigs and releases continues apace. Find them in a club, tune in to one of their mixtapes, lay your ears on their recent remix of Oliver Nickels' “909 Lives”, and keep watch for their new tracks, which will follow last year's Nordlicht EP. And exclusively for their fans on Bandsintown, the duo is offering a download of their hit "Nebel"—get it here or stream it on Spotify. In between their packed schedule (literally, mid-flight back from a date in Munich), we caught up with Daniel and Felix to learn about their love for the bass, those nights out in Berlin, and the recipe for a fine techno breakfast. Hi Daniel and Felix. Besides techno, what did you have for breakfast today? 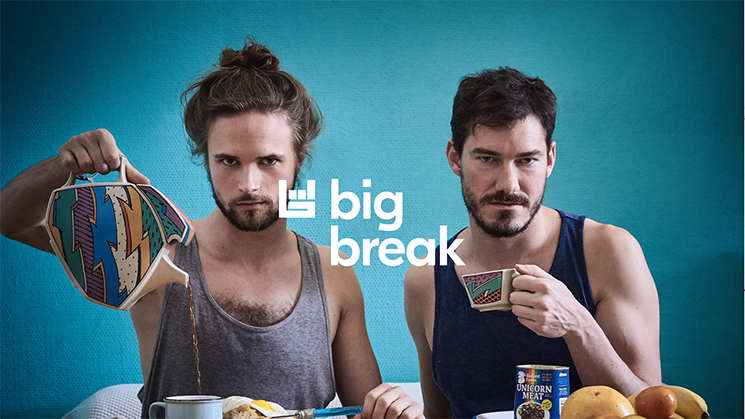 For a proper techno breakfast you need: a massive bass, tasty melodies, some fruit, and tons of coffee. Alternatively, you could add some cheese and maybe cowbells. But coffee is mandatory. We’re digging your remix of “Hansekoggen” right now. What were your intentions for this particular remix? After our daily ton of coffee, our main intention is to create a massive bassline. Besides that, we enjoyed playing around with the great material of the original by Audiomolekül and Stoertebeker. What was it that drew you to work together and what were your first impressions of each other? One of these weekends in Berlin, Daniel was wandering around Kotti when he discovered a fearless beat from the other side of the street. The music had its origin in a mobile soundsystem that was surrounded by dancing people—including Felix who was organizing the rave. After Daniel put out some tracks, we realized that we had to combine our forces. How have your backgrounds in theoretical quantum physics and architecture come in handy in your production work? As Daniel specialized in quantum wave theory, we use him as a living synthesizer from time to time. Depending on his temporary state, he either becomes a low or high frequency oscillator. Felix’s background as an architect provides him with the perfect ability to arrange Daniel’s sound fitting to any breakfast. What were some electronic artists and producers that provided inspiration for both of you as you started working together? The Knife, Mathew Herbert, and Frivolous influenced and inspired us a lot with their very personal, innovative, and playful productions. Describe your perfect Saturday night out in Berlin. Getting a beer from a Späti, sitting on a playground, and see what's gonna happen. If nothing happens, get another beer from the Späti. Infinite loop. How has Berlin influenced you, and in turn, what do you think Techno Frühstück brings to the city’s electronic landscape? Berlin made us slow. We started to realize that the drive of a club situation depends on the massiveness of the beat and bassline than on the speed of a track. We like to play pushy stuff, but pitch it down to a level where the bass has enough time to evolve and everything gets just a bit more groovy. What goes through your mind when you’re playing a set? When you get into the flow, it's all about the music and the people around you. Except if you’re having a very bad day, you might then think about how you’ll have to clean the kitchen afterwards so your roommates don't kill you. And how would you describe the dancefloor during one of your sets? We like to start harder and frontal and drive things to melodies that you can lose yourself in—and try to catch the people on the way. What do you hope 2018 holds for Techno Frühstück? A private jet, massive gold chains, and a jacuzzi (for the money laundry). Besides that, we are producing a lot and very curious about the releases resulting from that. The next one is gonna be on Aftertech Records from Amsterdam. In Berlin, techno is used a lot as an equivalent for electronic music in general. For us, it represents our dark side, while the Frühstück brings in the fluffiness.